Back before the first iPad was announced and when the rumor-mill was in full force, everyone pretty much knew that a tablet was on the way, but nobody really knew what form that tablet would take. 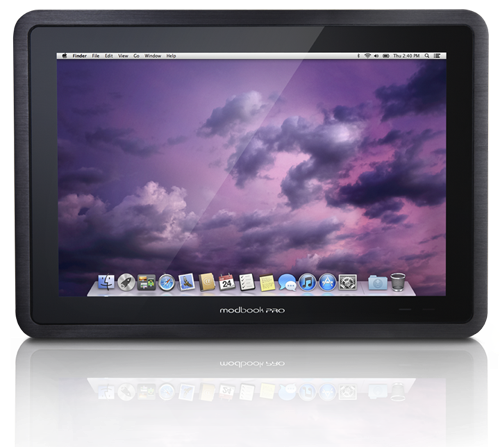 Whilst many thought that the tablet would indeed turn out as it did, some were more hopeful that Apple would simply offer an OS X-like machine that resembled a MacBook Pro, but in tablet form. Sort of like one of those Tablet PCs that nobody bought back in the 1990s. Thankfully, Apple knew better. That hasn’t stopped some people from making their own MacBook Pro tablets though, and the latest to do the rounds is the Modbook Pro. 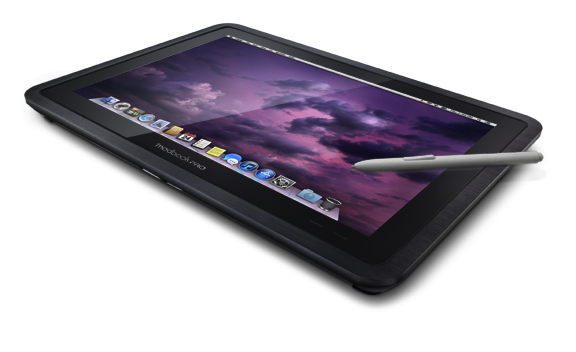 Not just a MacBook Pro turned into a tablet, this device even goes so far as to break Steve Jobs’ biggest tablet rule – the thing has a pen. Put together by LA-based Modbook Inc., the Modbook Pro comes with a rather hefty specification, offering plenty of horsepower to keep those happy that just don’t think that an iOS-based tablet can cut the mustard. The tablet itself comes in two flavors, both based around the 13.3-inch screen that arguably makes the most sense. We don’t think anyone wants to be lugging a 15-inch tablet around, let alone one that stretches to 17-inches. While we are more than happy with the iPads we have right now, we can’t argue against the aesthetics of what the Modbook Pro people have managed to put together. In the photos we have seen at least, the device looks to have a pleasing, premium appearance to it. We don’t have confirmed pricing for the device yet, but we don’t expect it to try and compete with the iPad on price. We are not really sure who will buy this over an iPad anyway, but as has been shown before, there is always someone willing to stump up the cash for something as premium as this.